When it comes to DevOps tools, Modern Infrastructure readers value simplicity -- and that's what they say they get with Ansible, automation and configuration management software acquired by Red Hat in November. 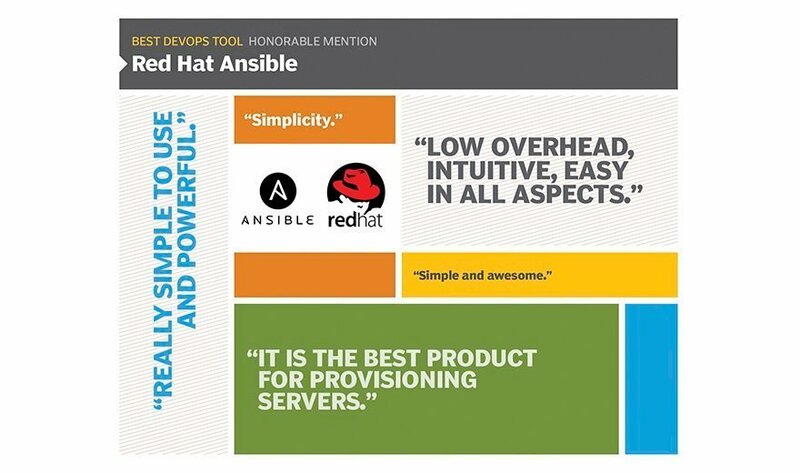 Readers describe Ansible as "low overhead," "intuitive," and "easy in all aspects" including learning, configuration, deployment, use and maintenance. The learning curve "is far smaller than [competitors] Chef/Puppet," one reader said. Another big piece of Ansible's simplicity is that it eschews agents, and relies on SSH for communication instead, said Walid Shaari, an infrastructure architect for a Saudi oil company that voted for Ansible. "It capitalizes on something that already exists," he said. Other benefits include code that is human readable, and the ease with which it’s possible to create hierarchies and add to inventories. Like voters, Shaari also called out the vibrant Ansible community, which counts over a thousand committers. When it comes to community engagement, "the only competitor to Ansible right now is Docker, when you think about it." Can you do DevOps without relying on specialized tools? While DevOps can be successful without using specialized tools, it kind of defeats the purpose of shifting away from the way dev and ops were handled previously, and doesn’t allow you to take full advantage of what DevOps can offer. The standard tools were designed to work in the old paradigm, and will most likely not be a good fit in the way that DevOps functions.